3rd KLA [Poonjar-KC], 4th KLA [Poonjar-KC)]. Born on 18 January 1919; Wife: Marthamma; 3 Sons, 2 Daughters. 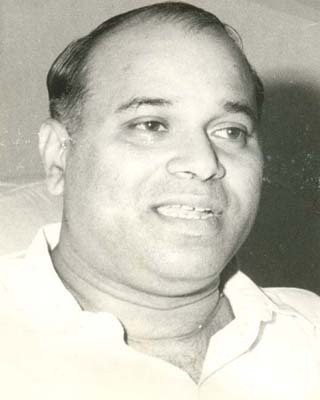 Minister for Transport from 26-06-1976 to 11-12-1976. Chairman, Public Accounts Committee (1967-68), Committee on Subordinate Legislation (1969-70), Committee on Private Members’ Bills and Resolutions (1962-63). Leader of the Kerala Congress Legislature Party. General Secretary, KPCC (1953-55); Founder Chairman, Kerala Congress. Editor : Deepika (1945-48) and Powradhwani (1948-50). Expired on 11-12-1976, while serving as Minister; Obituary made on 20-12-1976.